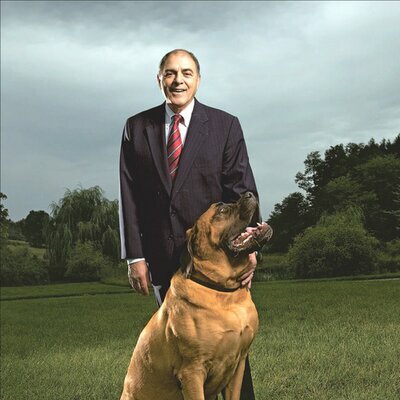 Ralph Acampora, CMT is a pioneer in the development of market analytics. He has a global reputation as a market historian and a technical analyst, providing unique insights on market timing and related investment strategy issues to a wide audience within the financial industry. Ralph has been an instructor at the New York Institute of Finance for close to four decades, and previously served as the NYIF’s Director of Technical Analysis Studies. Before joining NYIF, he was Director of Technical Research at Knight Equity Markets. Prior to joining Knight, he worked for 15 years at Prudential Equity Groups as its Director of Technical Analysis. Ralph is one of Wall Street’s most respected technical analysts and has been consistently ranked by Institutional Investor for more than ten years. He is regularly consulted for his opinion on market events by several major business news networks as well as national financial publications. He helped create the Chartered Market Technician designation and continues to advocate for its application in distinguishing practitioners of technical analysis. An Interview with Ralph Acampora at the 44th Annual Symposium - Ralph Acampora shares his insights on his experience at the CMT Association's 44th Annual Symposium, which took place on April 5 - 7th, 2017 in New York City. Conversations: Podcast Interview with Ralph Acampora, CMT - Join Alex Spiroglou as he sits down with Ralph Acampora, CMT in this week's episode of Conversations! Ralph discusses his entry into the business and the path he took to ultimately found the CMT Association. Dow Theory - Dow Theory On May 5th, 2009, Ralph Acampora, CMT presented a webcast to the CMT Association membership as part of theCMT Association Educational Web Series. London Regional Seminar Evening Panel Discussion (Ralph Acampora) - A presentation by Deborah Owen, MSTA, Trevor Neil, Craig Johnson, CMT, CFA, and Ralph Acampora, CMT at the CMT Association London Regional Seminar, originally held on February 12th, 2014. London Regional Seminar Evening Panel Discussion (Craig Johnson) - A presentation by Deborah Owen, MSTA, Trevor Neil, Craig Johnson, CMT, CFA, and Ralph Acampora, CMT at the CMT Association London Regional Seminar, originally held on February 12th, 2014. London Regional Seminar Evening Panel Discussion (Trevor Neil) - A presentation by Deborah Owen, MSTA, Trevor Neil, Craig Johnson, CMT, CFA, and Ralph Acampora, CMT at the CMT Association London Regional Seminar, originally held on February 12th, 2014. US Equities Markets and Fixed income Securities (Moderated Q&A) - A presentation by Ralph Acampora, CMT and Craig Johnson, CMT, CFA at the CMT Association London Regional Seminar, originally held on February 12th, 2014. US Equities Markets and Fixed income Securities (Craig Johnson) - A presentation by Ralph Acampora, CMT and Craig Johnson, CMT, CFA at the CMT Association London Regional Seminar, originally held on February 12th, 2014. US Equities Markets and Fixed Income Securities (Ralph Acampora) - A presentation by Ralph Acampora, CMT and Craig Johnson, CMT, CFA at the CMT Association London Regional Seminar, originally held on February 12th, 2014. 2011 Market Forecast Panel (2011 Annual Symposium) - Market Forecast Panel featuring Ralph Acampora, CMT, Hank Pruden, Ph.D., Ken Tower, CMT, and Chris Cady at the 2011 Annual Symposium on May 11th - 13th, 2011 at the New York Stock Exchange.